I dunno how many of you follow PostSecret. I do, and I am grateful for the many good things that have come out of that site. Frank, the creator, opened a public platform for individuals to anonymously connect with others who share similar struggles, pain and hopes. 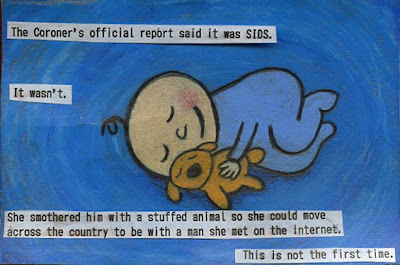 In fact, PostSecret has mobilized many others into anti-bullying, anti-suicide and pro-tolerance movements. That being said, there have been a few secrets that have boiled my blood (as in: Shame on you, Frank Warren, for posting them). *Warning: This next link is to a card that I've never been able to scratch from my mind, so maybe you should just trust me when I say some of them should never be made public, and instead should be turned over to the authorities). This one comes to mind (from May 2010).